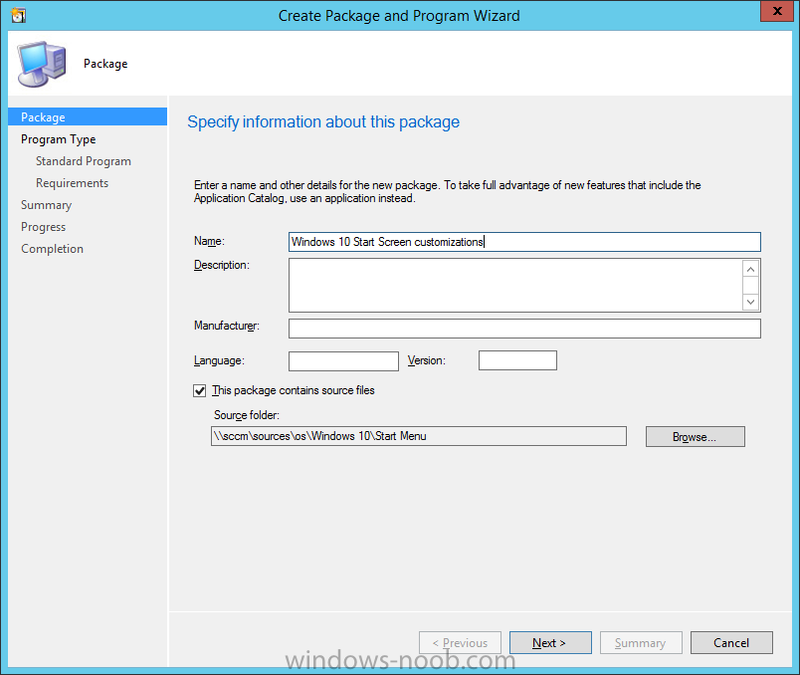 How can I deploy a customized Windows 10 start menu using System Center 2012 R2 SP1 Configuration Manager ? 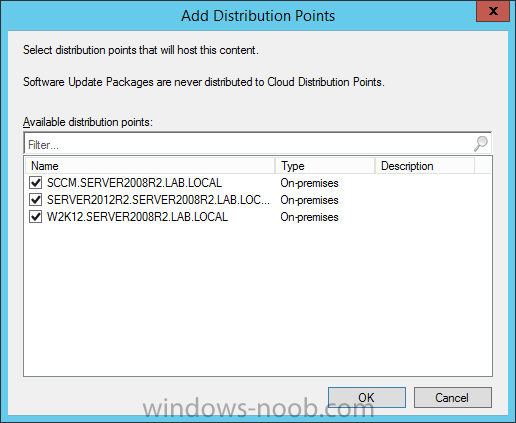 In previous posts I showed you how you can upgrade to System Center 2012 R2 SP1 Configuration Manager and how to Deploy Windows 10 x64 Enterprise. 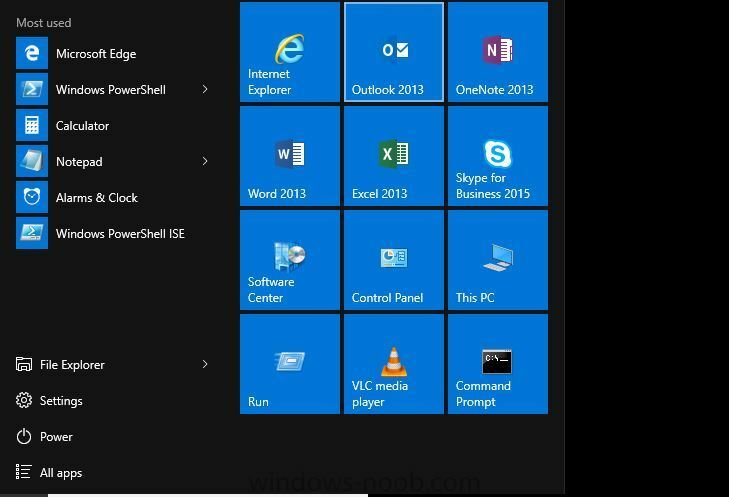 In this post I'll explain how you can customize the Windows 10 start menu for use during a task sequence deployment using an MDT 2013 update 1 integrated task sequence. 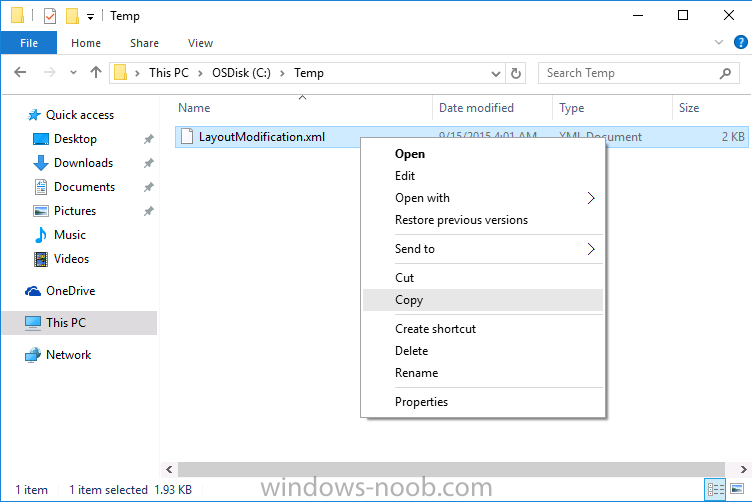 You could use active directory Group Policy (Administrative Templates\Start Menu and Taskbar\Start Menu Layout) or other methods to do this however this method works very nicely and is easy to implement. I'll cover customizing the taskbar in a separate post. Note: I've noticed that Internet Explorer doesn't show up even though pinned to start. Perhaps it's a way of discouraging usage of same in favor of Microsoft Edge. but those resize options can vary depending on what type of tile it is. 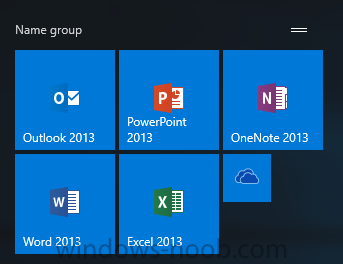 In addition to the columns there group names so that you can group tiles of similar nature together (for example Microsoft Office) and give them an appropriate group name (Office 365). 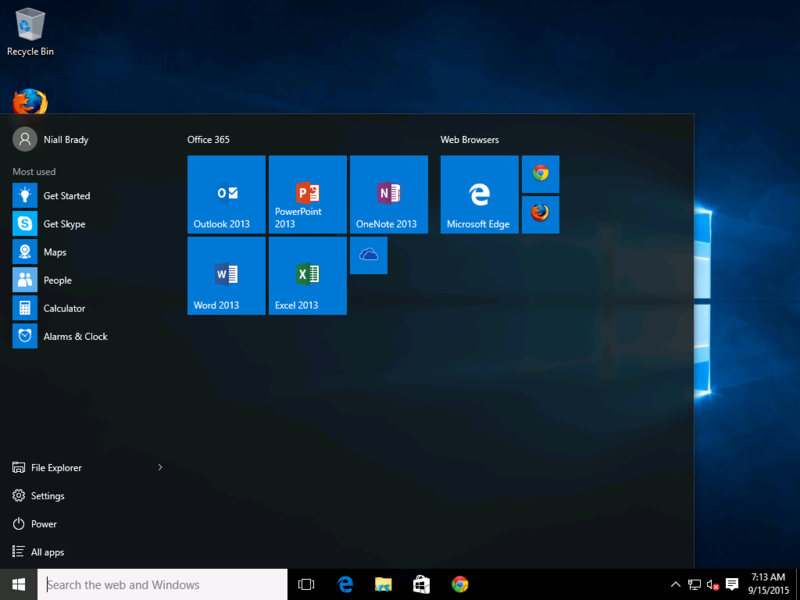 Now that you have familiarized yourself with the Windows 10 start menu it's time to make it look the way you want but before you do understand what is allowed or not. The OS performs level checks to determine the chosen base default layout, such as the desktop edition and whether Cortana is supported for the country/region. 2 groups that are 6 columns wide, or equivalent to the width of 3 medium tiles. 2 medium-sized tile rows in height. The OS ignores any tiles that are pinned beyond the second row. No limit to the number of apps that can be pinned. There is a theoretical limit of 24 tiles per group (4 small tiles per medium square x 3 columns x 2 rows). 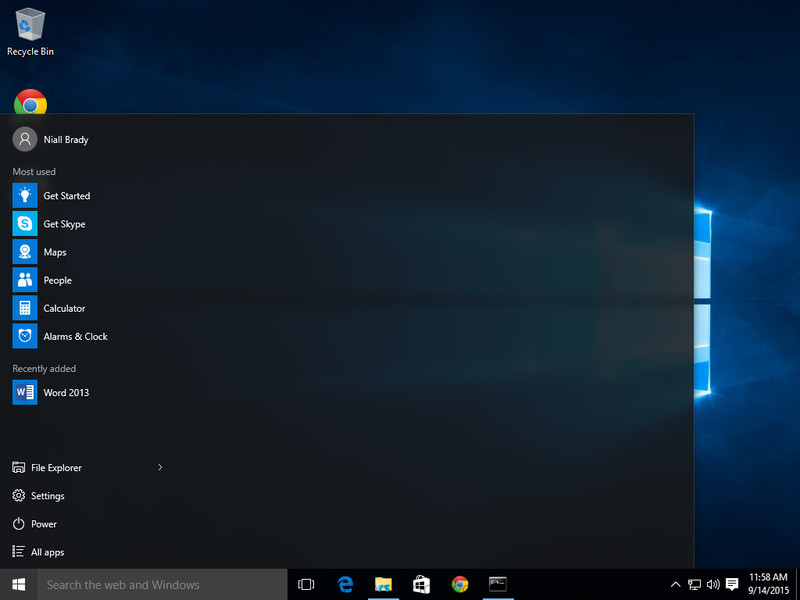 To customize the start menu, logon as a user with administrative credentials on that machine. You can begin by removing any tiles that you do not want appearing in the finished menu. 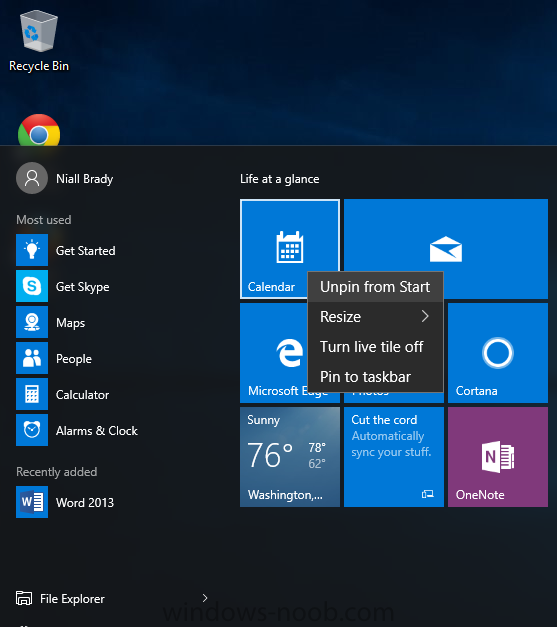 To do that, right click on a tile you want to remove and choose Unpin from Start. 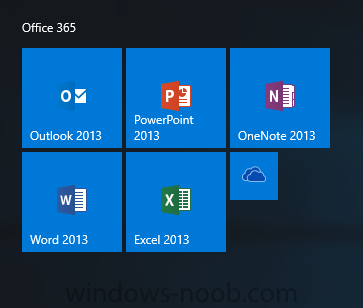 Repeat as necessary until you've removed all the tiles you do not want to appear in your finished start menu. After removing a bunch of tiles your start menu can look totally empty or at least different to the way it looked in the beginning. 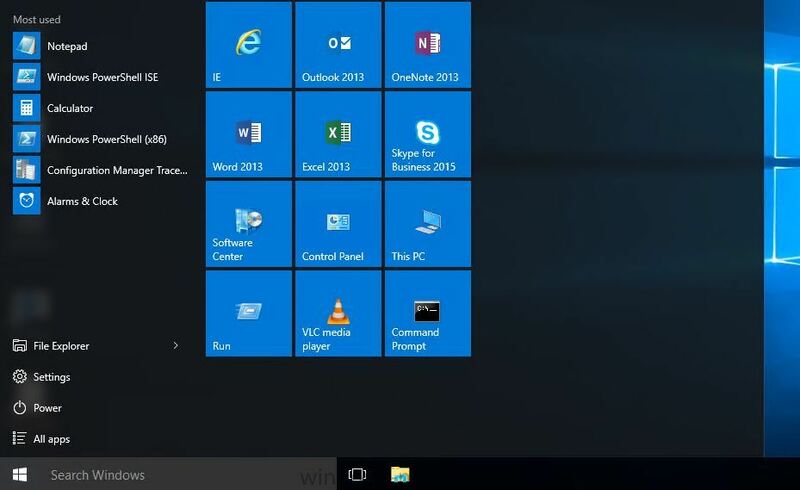 In my screenshot below I've removed all tiles from the start menu so it is effectively a blank slate. Next, it's time to add back some colour to your start menu, start with a bunch of apps you'll be using in your organization and try and group the tiles in a way that you think your users will use often. To add a tile, click on All Apps in the bottom left corner to see all the applications installed on this computer. Keep in mind that you need to install whatever apps you intend to offer in your organization prior to this customization. In the list of applications browse to the group that interests you and select an app, right click the app and choose Pin to Start. Once done, the application will appear in it's own tile in the first available column. Repeat as necessary adding a bunch of apps that you want made into a group. Next grab a tile (by selecting a tile, left clicking and holding the mouse button down) that you want to move and move it to the location you want it to appear, when happy, release the mouse button. Once you are happy with the order you might want to resize one or more tiles, to do so, right click a tile and choose from the sizes available. Repeat as necessary. Now that you've created a group of tiles, give the group a name. To name a group simply point the mouse cursor to the top of a group of tiles and Name Group (or a previous group name) will appear, click anywhere in the text to enter in a new group name. After naming a group, you can see the results immediately. 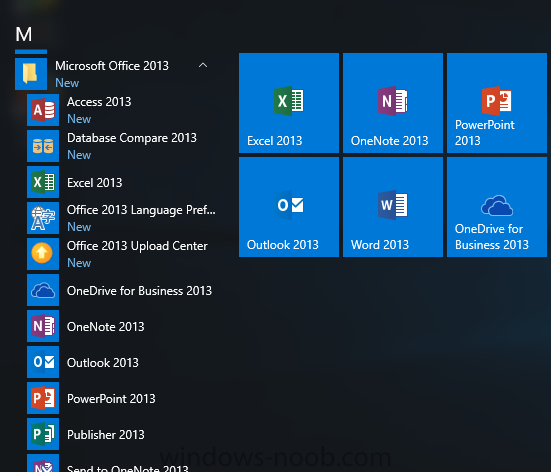 And after you are done customizing the start menu you can review your work. Awesome. Now you are ready to capture the customizations using PowerShell. To do so fire up an Administrative cmd prompt and type the following command to store our custom xml files. Tip: If you get access denied errors, make sure you are logged in as a user with Administrative permissions on the computer (not just an administrative command prompt), or specify a folder that you have appropriate access to. Using an account that has permissions adequate to write a file to your Configmgr sources structure, on the Windows 10 machine with the custom start menu browse to the C:\Temp folder, select the LayoutModification.xml file and choose copy. extract it and copy the extracted script into the folder structure created above. To deploy the changes to new Windows 10 machines during OSD, you need to make the file above available via a package. 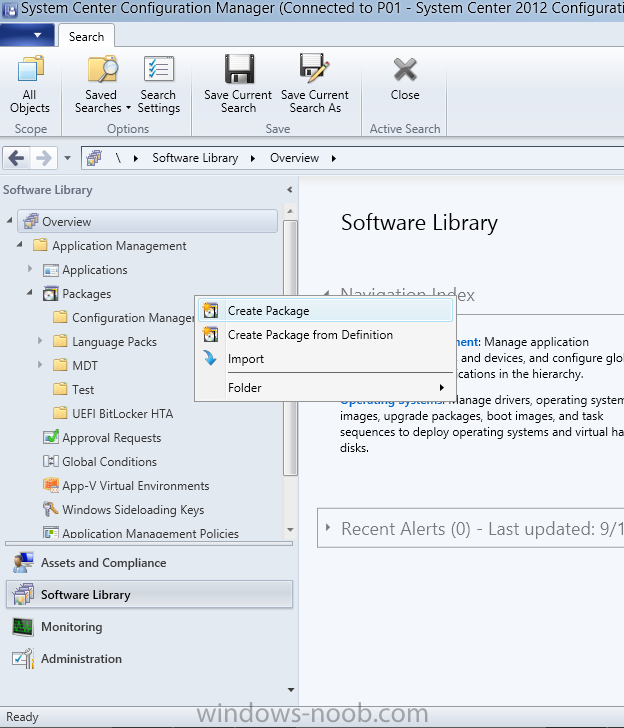 In the Configuration Manager console, select software library then applications and right click on Packages. Choose Create Package. Choose Do not create a program and continue through the rest of the wizard until completion. To distribute this package right click and choose Distribute Content this will make the content available to computers being imaged from selected distribution points. On the content destination screen, click add then select any distribution points you want to make this available to. continue through the wizard until completion. 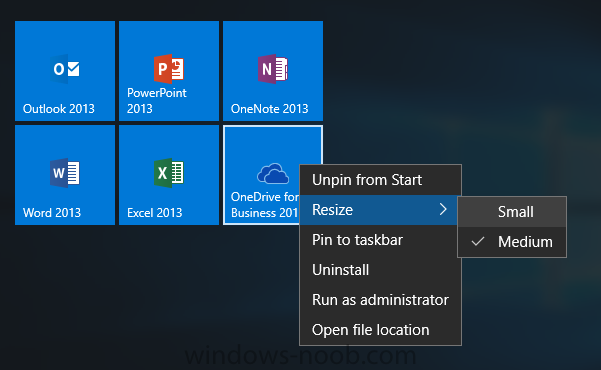 In a previous post you learned how to deploy Windows 10, in this guide you will edit that task sequence to include the custom start menu. 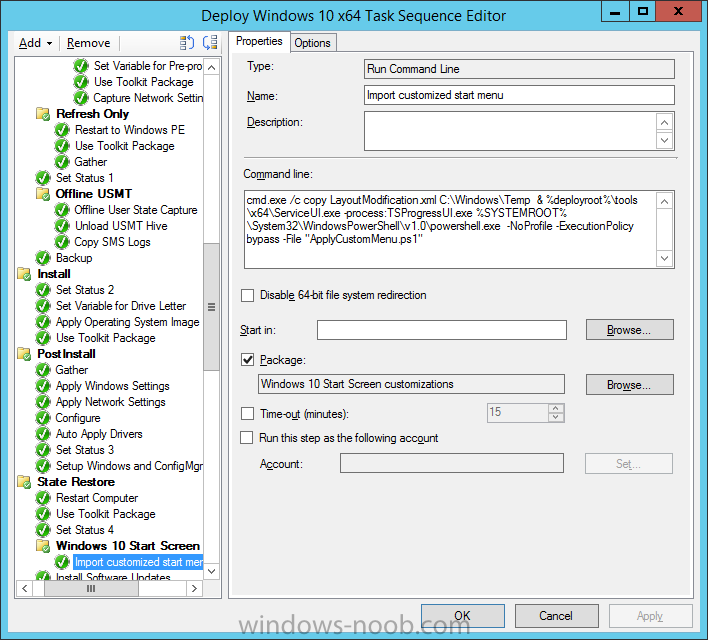 In the Configuration Manager console browse to Software Library, Operating Systems and select Task Sequences, locate your Windows 10 task sequence, right click it and choose edit. 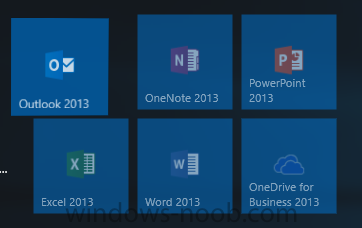 Scroll down to a section that occurs after Set Status 4, select Add, select New Group and give it a name like Windows 10 Start Screen Customizations. Next select the Add dropdown, select General and choose Run Command Line, paste in the following command. cmd.exe /c copy LayoutModification.xml C:\Windows\Temp  & %deployroot%\tools\x64\ServiceUI.exe -process:TSProgressUI.exe %SYSTEMROOT%\System32\WindowsPowerShell\v1.0\powershell.exe  -NoProfile -ExecutionPolicy bypass -File "ApplyCustomMenu.ps1"
Once it is complete, logon and you'll see the customized start menu in action. Job done ! Yes I know the Internet Explorer icon is missing, see the note at the top of the page. 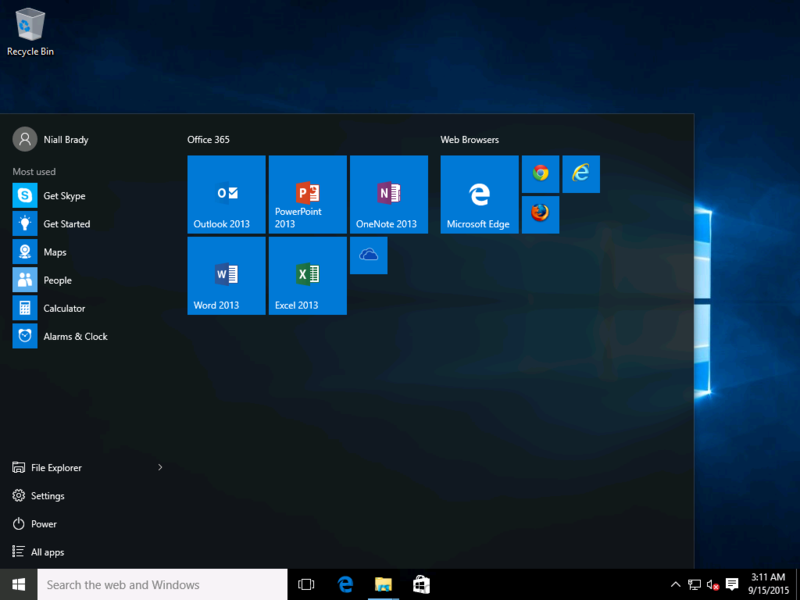 Remember that your newly deployed Windows 10 machines start menu will only show pinned tiles that are installed. 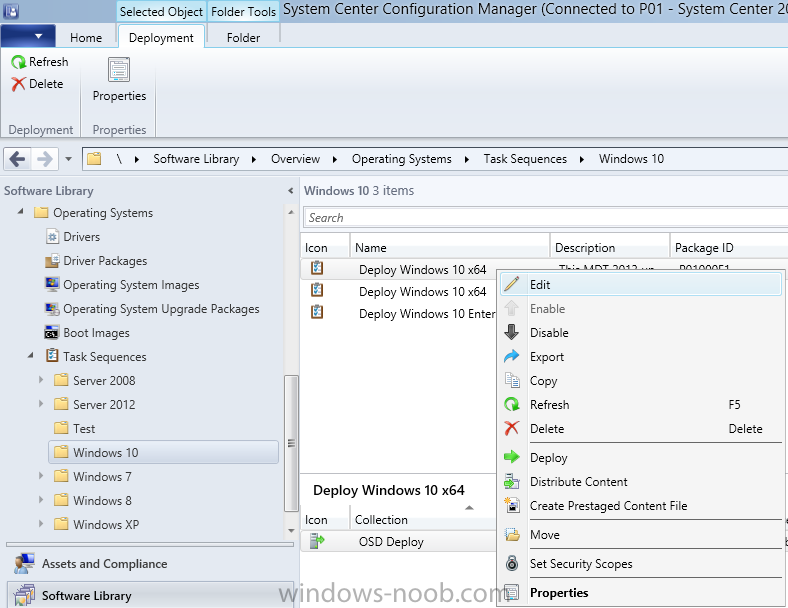 How can I deploy Windows 10 Enterprise x64 with MDT 2013 Update 1 integrated with System Center 2012 R2 SP1 Configuration Manager ? 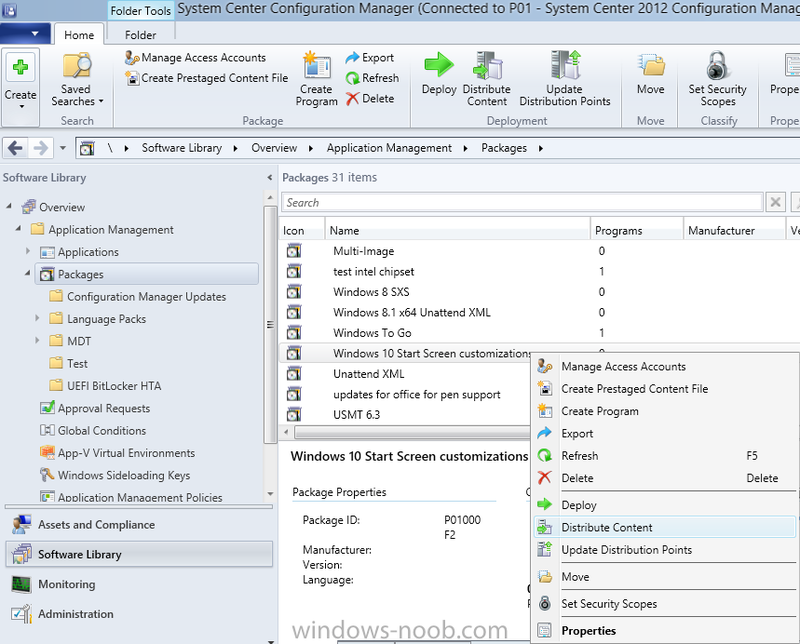 How can I upgrade to System Center 2012 R2 SP1 with MDT 2013 update 1 integrated ? Seems a bit more complicated than needed (the serviceui part). From memory IE shortcut is missing because it's created for that user during login. 1. 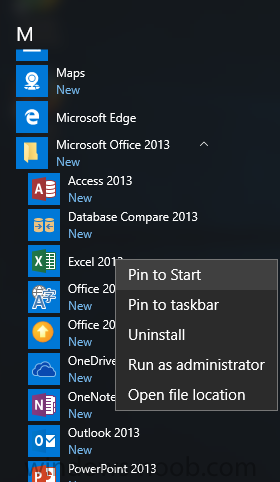 Copy the shortcut to ProgramData\Microsoft\Windows\Start Menu\Programs then pin it. 2. copy that shortcut to your startlayout package. Copy-Item '.\Internet Explorer.lnk' -Destination "$env:ProgramData\Microsoft\Windows\Start Menu\Programs"
4. In task sequence use 'Run powershell script' with setting bypass and reference your package. Havent had any issues with this method - give it a try! *whoops, i see you mentioned the path - does the longer command do anything additional? Great post as usual. So how does this differ to using the Windows Imaging and Configuration Designer supplied in the ADK10? Is this not a tool we should be using to for this purpose now? 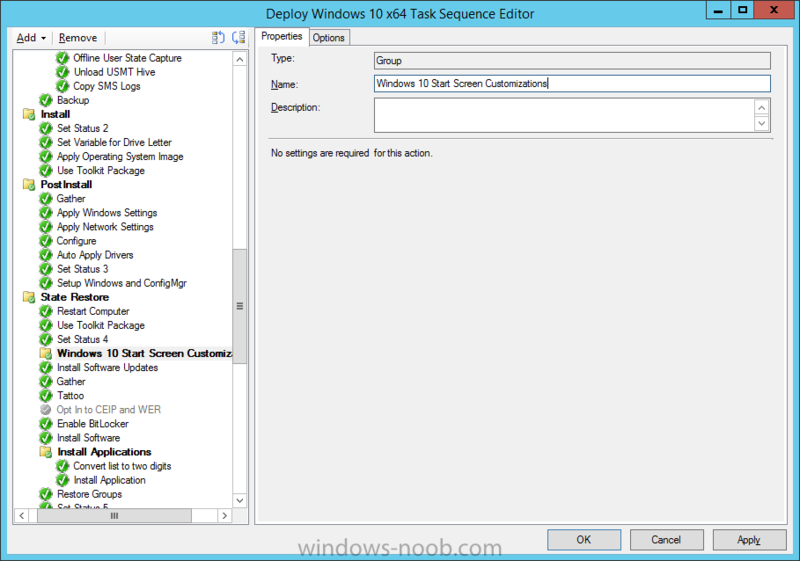 I'm trying to customize the Task Sequence for the inplace Upgrade to Windows 10. 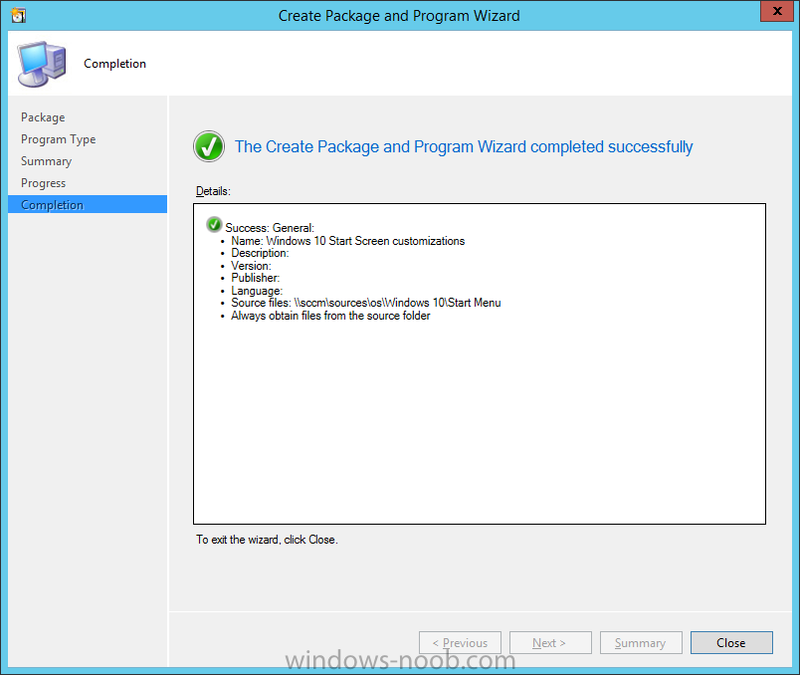 Adding the step "Import Customized start menu" does not work in the upgrade method. Any ideas why? 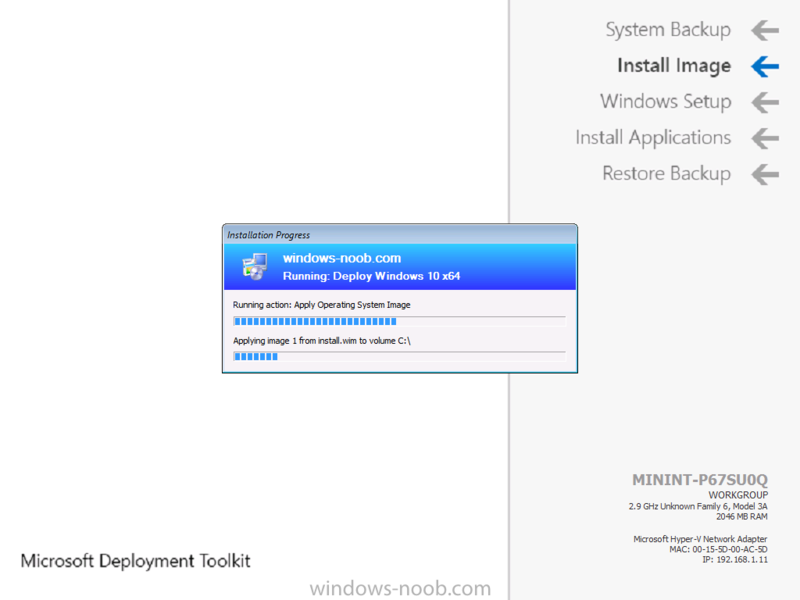 I used this method for the OSD and it works. what does your smsts.log file tell you about the step ? Thanks for the article. I have setup a nice layout but lose Internet Explorer when applied so I'm interested to read Jay's post above. Surely IE is per system rather than per-user - is there an easy way round this ? first line shows that it's complaining about your xml file, have you tried importing the same XML file on that computer using the powershell cmd, if so what happens ? Manually running the script works ok. Adding the script to the upgrade TS returns the above error. 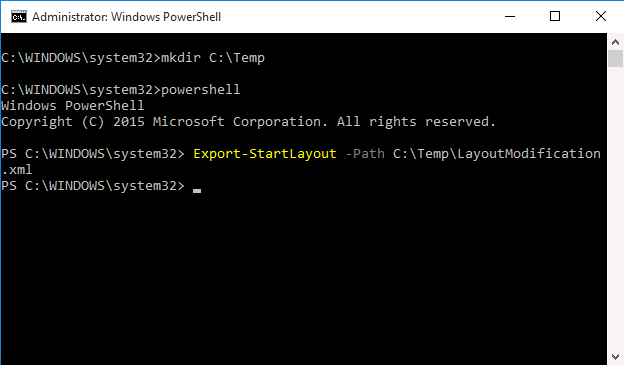 can you attach the layout file from C:\Windows\Temp please ? hmm looks ok, and this is the file that you verified was copied into C:\Windows\Temp before the next bit (importing it...), i.e. 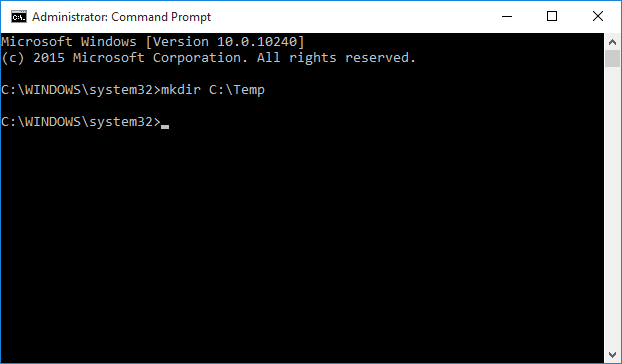 did you verify the file is present in C:\Windows\Temp and it's the one above ? It copies the file correctly, it just returns that error, even if I access it directly from the package. 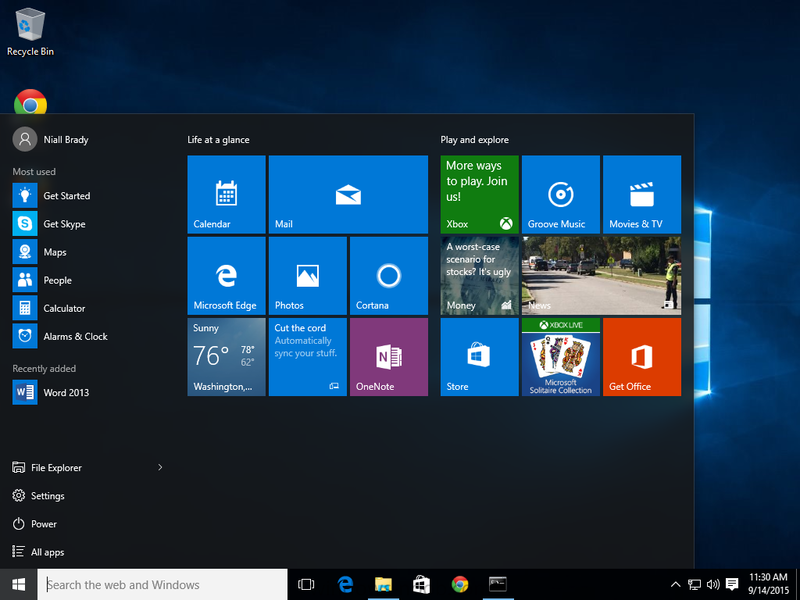 Adding the step in the win10 installation from scratch works ok. I fixed the problem by changing the default layout xml directly in the wim, using DISM. Is there any reason this Import-Layout would not work if you are using CopyProfile in the unattend? The reason I ask is because the Import works on a new windows 10 install, but is not working on an imaged VM with CopyProfile. 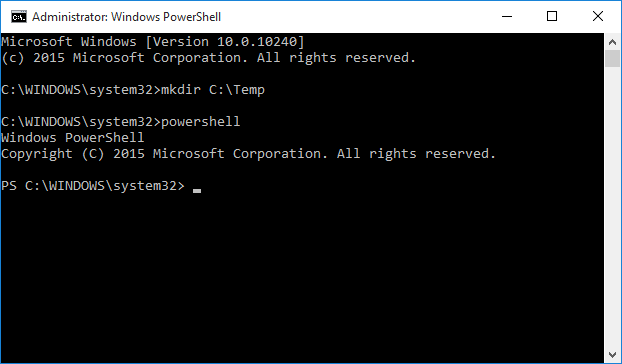 I'm not using copyprofile, however have you checked for the file mentioned in the post to see if it's in the C:\Users\Default\AppData\Local\Microsoft\Windows\Shell location after logging in ? I've got this working well other than the width shows 12 columns when I customized and exported the xml with 6 columns so the items fitted exactly. 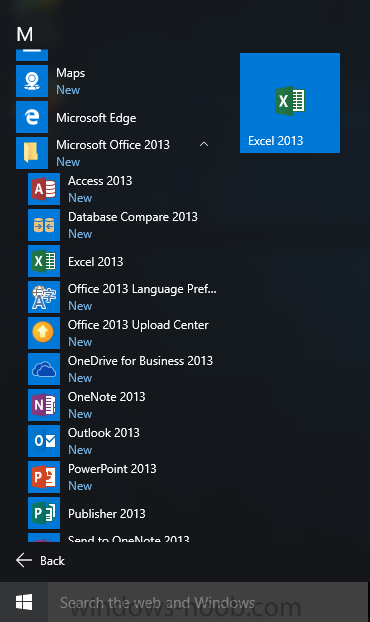 It now shows a blank grey space next to the actual icons, has anyone else encountered this, is there a way to manually modify the xml to only show the required 6 columns. I just confirmed that my LayoutModification.xml file is in C:\Users\Default\AppData\Local\Microsoft\Windows\Shell after importing, but all I get is a blank start menu from clearing it out before capturing my image and using Copy Profile.